Water Gun Has Been Nerfed! Let me tell you a little story. I was still a budding trainer, trying to learn the ropes of Pokemon GO. I was new the gym scene. I could take one if I wanted to, but it would wipe my collection of revives and super potions. All of that changed one day when I evolved my Psyduck. 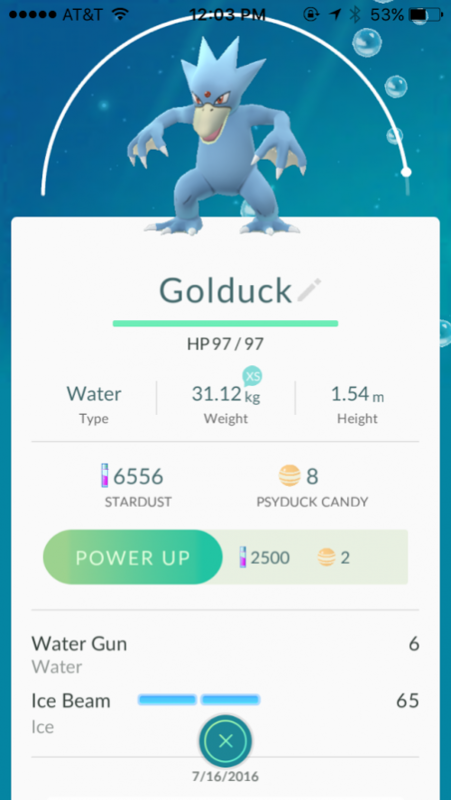 He swept the gyms by storm in aquatic fury. All thanks to his Water Gun technique. I am sad to say that this will no longer be the case. And just like that, he was only half as powerful. Water Gun originally had a base power of 10. Now it is at 6. Originally, with its power and speed, it would decimate entire gyms. And yes, I do understand that balance plays an important role in the games. But I just can’t help feeling like I lost my ringer. Remember that episode of Pokemon where Team Rocket tried to steal Pikachu from A..